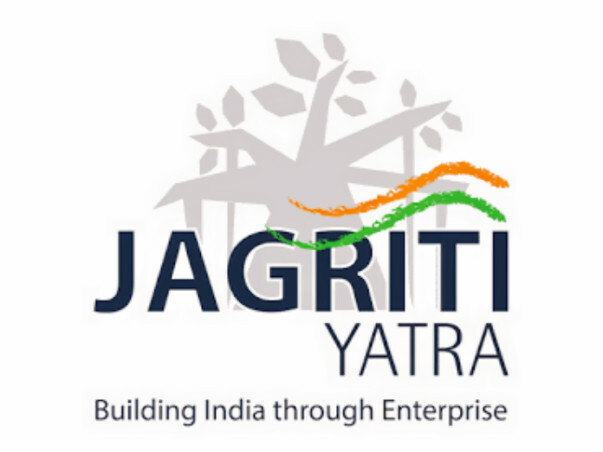 Hello I am Pravallika and i am a 21 year old computer science student currently in the final year of my undergraduate studies .I have recently had the honor of being one of the 450 people selected for jagriti yatra scheduled to start on December. 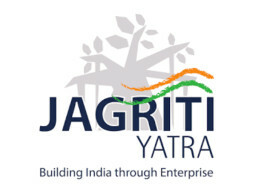 Jagriti Yatra is an 8000 kilometer journey spanning the length and breadth of india over a span of 15 days.It s aim is to select highly motivated individuals and make them meet entreprenuers across various fields with the sole aim of developing India through entreprenuership. 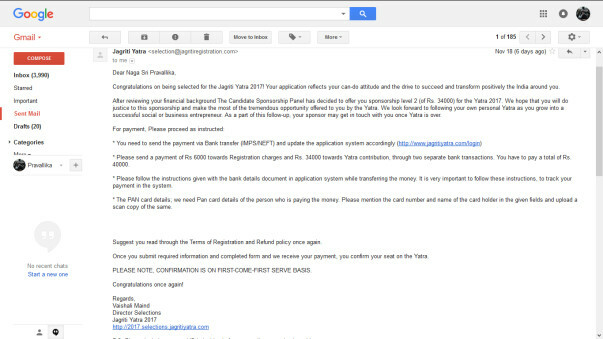 I am in dire need of financial assistance as I have the constraint of a rapidly approaching deadline.please help in all ways you can and I appreciate every contribution.